Here in the Northwest, the North Cascades have long been recognized for their spectacular beauty. Sometimes called the ‘American Alps’, the high alpine environment has attracted visitors with its sweeping panoramas and alpine meadows, but the main thing that makes this northern part of Washington State so beautiful is its rugged granite outcroppings. Sculpted by the hands of time, these granite spires have long lived outside of the reach of most people. 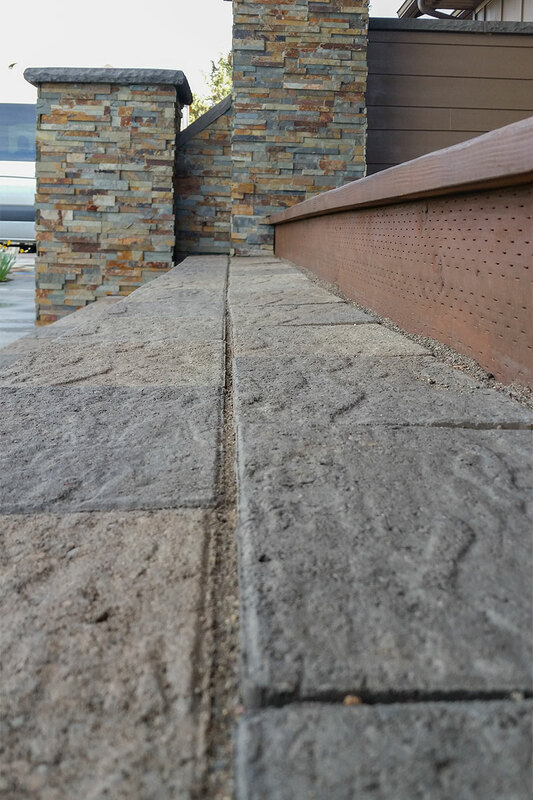 With our Granite Stone pavers, our goal is to bring this rugged granite look to the comfort of your own backyard. In order to transfer the fine texture of the granite on to the paving stone, we digitized a piece of actual stone, copying its surface exactly. The resulting fine surface texture closely resembles the original stone but is less aggressive than our other textured stones, Alpine Stone™ and LaPietra™. Get the natural stone look you love, but in a uniform size and shape for easy laying. Stone piece used to create the surface of the Granite Half Holland. Granite Stone comes in five sizes ranging from the large 12”x12” Granite Arena to the 3.86”x3.86” Granite Half Holland. The five sizes can be configured in a number of combinations. Since Granite Stone is built off of a 24” module, as long as you make sure that your project is also built off of 24” units, you can create a beautiful patio without the need for cutting. Its size is slightly smaller overall than our other five stone combo, LaPietra™, so it’s easier to handle and to lay. The medium sizing ratio of Granite Stone is very versatile, working well with virtually any size area, from small patios to large driveways. Custom patio in Granite Stone Park & Plaza Cambridge Blend laid in a running bond pattern. Each stone can be laid individually or can be combined with one to four other stones for a unique result. The five sizes laid randomly, combined with multiple surfaces per size create an overall more natural, less manufactured look. Unlike our Alpine Stone™, Granite Stone is not tumbled, making it more contemporary in appearance, with crisp chamfered edges and a clearly defined texture. Granite Stone Jamestown Blend in a five stone random pattern. For an affordable, beautiful natural rock look in a paving stone, consider Granite Stone for your next project. Granite Stone Park & Plaza in Cambridge Blend. The texture of Granite Stone makes great slip resistant stair treads.